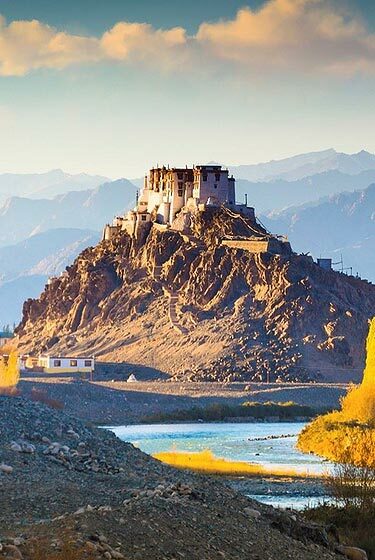 SEASON 15 July to 15th Sept.
Leh is a region in the state of Jammu and Kashmir of Northern India sandwiched between the Karakoram mountain range to the north and the Himalayas to the south. The Indian portion of Ladakh is composed of the Leh and Kargil districts. The Leh district is the largest district of India, covering more than half the area of Jammu and Kashmir, of which it is the eastern part.The only two roads into the area from outside are the Zoji-La Pass and Kargil route from Srinagar in the Kashmir Valley, and the high altitude Manali-Leh Highway from Himachal Pradesh. The Manali-Leh road is open only from May or June to October or November, when snow is cleared from several passes. The Srinagar-Leh road is open from April or May to November or December, and is generally blocked by snow through the winter only at Zoji-La Pass. Kushok Bakula Rinpoche Airport at Leh has flights from Delhi year-round on Jet Airways, GoAir and Air India. Air India also operates weekly flights to Jammu and Srinagar. Cancellations and delays for two or three days are not uncommon and can happen at any time of year, so travellers must plan for that possibility when scheduling their onward travel.Roads within Ladakh, except to Zangskar, are open all year round. Khardong-La Pass to Nubra has an alternate day schedule, is closed Mondays, and can get closed by snow for several days in winter and spring. Chang-La pass to Panggong Lake rarely closes, and if it does, rarely for more than one day. Manali to Darcha by Jeep via Rohtaang Pass and Keylong total distance 145KM.O/N Camp at Darcha. On this trek we have cross the first pass Shangola (5100m). Enroute Shing, Tangtse, Kuru Villagers. Day 11 : Bardan Gompa – Sani (20 KM trek) enroute visit Padam Village Capital of Zanskar. 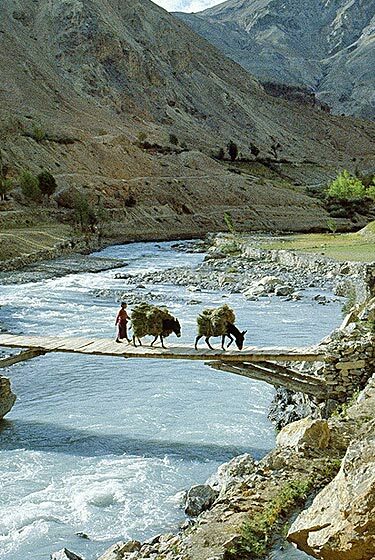 After crossing the river Zanskar at tungari bridge camp near Dezong/Youland village one kilometer short karcha village. Zangla can be visited from Renam Village enroute.Camp nearPishu village down on the bank of Zanskar river. Day 14 : Free Day : Visit Zangla Old Capital of Zanskar.O/N Pishu. After crossing 2nd Pass Parfi- la (4800m) cross brodge and camp near the stream.Nytse village is not a permanent village. After crossing 3rd pass Hanamu-la (4877m) camp near the village Linshad. On this trek two passes Natukai-la (4200m) and Kubalal (3800m) are to be crossed before reaching at the base of Singy-la. After crossing 6th pass Singy-la (5060m) you have to cross 7th small pass Boumitse-la (4400m) on this trek route before reaching Photoksor.Camp across the village. Day 20 : Rest at Photoksor. Starting early in the morning and crossing 8th Pass. Sirsirla (4990) passing through a bridge, crossing a stream, cross 9th pass Gyaplo-la (3900m) Somdo is reached. Today again start early in the morning as you have to cross river about 32 times before reaching shilla. It is last day of the trekking on this route.After crossing 10th Pass Printiti-la (3400m) it takes 21/2 hours to reach Lamayuru.Visit monasteries and drive (124KM) to Leh or (106KM) for Kargil. Jeep from Manali to Darcha and Lamayuru to Leh or Kargil Drop.